Horse tack is an essential piece of equipment designed specifically for horse and is a personal choice for the rider. A “novice” rider should ride in the horse tack that allows them to feel comfortable and safe. Remember your helmet! 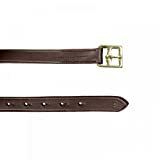 Horse Tack is suited to horse, rider and the type of riding you intend to ride with your horse; Western Riding, English Riding, Cross Country or Jumping, Dressage Competition or Trail Riding. A general purpose saddle will be a good investment if you want to ride English style. It is versatile enough that you could do jumping, dressage and trail riding – for pleasure. A western saddle seems to be easier for the novice riders when trail riding. On a long trail, nothing beats the comfort of a western saddle or trail saddle. Equestrian trail riding is a specialty recreational activity that connects the horse and the rider. Horses on trails must be able to endure long travel distances. Also, horses must exhibit a calm and obedient demeanor, such that they are not startled by wildlife. Trail riding with your horse takes a lot of hard work and conditioning. The trail can be a hard place both physically and mentally for you and your horse. If you’re going to hit the rugged trail, consider a Circle S Saddle that offers a lot of flexibility for maneuvering on the trail. You and your horse are going to have to go around trees, rocks, and other trail riding obstacles. The most important aspect of your saddle is its lightweight design. You want the horse to be comfortable and have a saddle that conforms to its back. Also, Circle S saddles offer neoprene fillers that will absorb shocks and bumps to keep both rider and horse comfortable on the trail. Tahoe USA Leather Swamp Hide Pleasure Western Saddle, Alligator, 16"
What a difference it makes when riding all day while working the ranch or long trail rides! The Western Saddle Seat Saver Sheepskin relieves pressure points from riding long hours in Western Saddles and prevents wear and tear on your saddle. Makes riding a pleasure, does not slip and keeps you comfortable on cold or warm days. 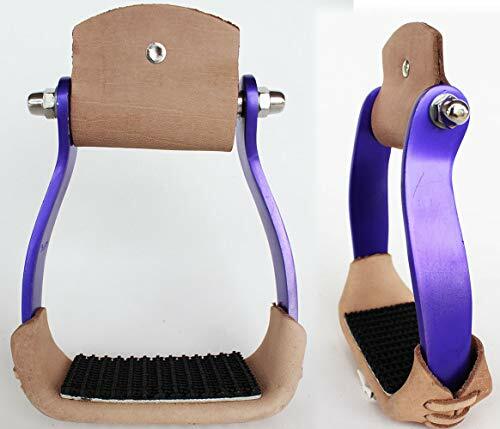 Easily attaches to Western Saddle or Endurance Saddles with Velcro straps. My husband and I ride Circle S Saddles, and we love our Saddle Seat Saver Sheepskin. If you ride with an English Saddle, you may also want to consider buying an English Saddle Seat Saver Sheepskin. 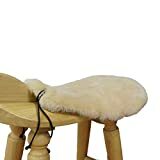 English or Western Saddle Seat Saver Sheepskin – optional, but cozy to sit on! Trail riding can be a great experience for you and your horse, and trail riding offers many training opportunities which is good for creating a better relationship between both you and your horse. With the time and effort you spend working with your horse you will find that challenges become a little easier for the horse when introduced to different surroundings. Consistency definitely plays a major role in any form of riding and training, especially when your horse begins to trust what you are asking him or her to do. Always remember to ride safely using common sense, good judgment and wear your helmet. Is My Horse Too Old For a Snaffle Bit? A regular snaffle bit works by placing pressure on a combination of points. Mainly the horse’s tongue, lips, and bars of the mouth. Most young horses should be started in a snaffle bit and, many older horses that are in training could also be schooled in a snaffle bit. If your horse has learned to move off your seat and leg aids a “stronger” bit is not necessary. I actually ride my horse in a “Bitless Bridle” for trail riding. When showing, I use a snaffle bit. American Quarter Horse has earned a great deal of popularity for its even temperament. For novice riders the Quarter Horse would be a great riding partner for the show competition or pleasure riding. The horses that are bred for competitions are usually stout in shape with wide jowls. Those that are used for the farming are smaller in size with very strong hind legs. If you are looking for a horse to help out on a farm, a ranch rounding up cattle, or for a horse that can compete in races and competitions, then you may want a Quarter Horse. A great collection of leather horse saddles can be found in a variety of colors, styles, and sizes. Some popular categories are Showman, Blue River, Circle S, and Double T saddles. Each of these varies slightly, providing many choices of saddles for the avid or weekend rider. There is also tack and saddle pads to match any of these saddle styles as well.